Like 23andMe Canada says, "no two moms (or grandmas) are alike." So if your mom has been thinking about trying their DNA testing kits, now might be the perfect time to finally treat her to one! Until Sunday, May 13, 2018 (you know, Mother's Day), you can get 20% off a genetic testing kit, or you can buy two kits and get the third one FREE! These are some of the best prices we've seen for 23andMe in a while (for all of 2018, at least), so this is the perfect chance to finally go for it – especially since they'll throw in free gift wrap! The deal brings an individual Ancestry Service package down to $103.20 (from $129) and the more extensive Health + Ancestry Service kit to just $199.20 (instead of the usual $249). After you mail in your sample, you'll receive your genetic results via email about six to eight weeks later. 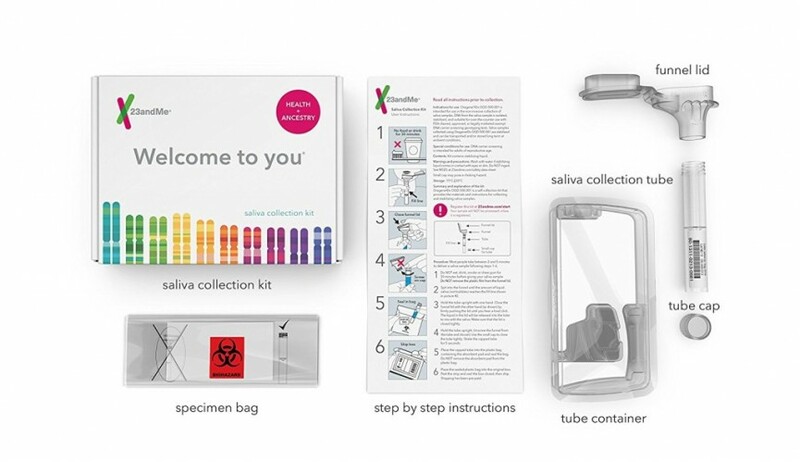 23andMe breaks everything down for you, so you can figure out exactly what parts of the world you come from! Here's how it works. Remember, you only have until May 13 to score this deal, so don't wait! Shipping costs vary and will be calculated at checkout.